Home / bollywood gossip / entertainment news / Some Important Fact about Fahad Mustafa! Some Important Fact about Fahad Mustafa! 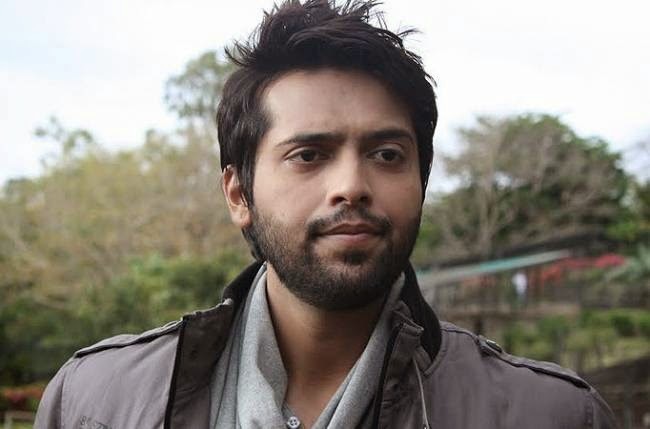 Fahad Mustafa continues to charm you as Ahmed in Zindagi’s Mere Humnawa, we dole a few secrets on Fahad’s life which are bound to make you fall in love with innocence and charm. We know of actors who buy fancy cars and houses, lavish presents for their family and friends with their first salary but our man Fahad is different from them all. From his first paycheque, Fahad bought something which might not be of tremendous monetary value but its usability cannot be questioned – a sim card! Yes, our very own Ahmed rushed to a mobile store with his first salary and a sim card was his first buy…a memory that he now remembers fondly. Little would you also know that despite being a successful actor, Fahad takes pocket money from his wife and happily accepts his wife as the boss of the house and is appreciative & respectful of her money management skills. Wonder how Fahad spends his free time? No, he is not addicted to books or television, neither is he a big fan of music, cars or shopping…Fahad spends his free time sleeping. On days that he is not shooting, Fahad easily spends 14-15 hours a day!